Pain relief is an important consideration when your dog is ill or hurt. There are several pain relief medications made specifically for dogs as well as holistic treatments. Learn about the available options so you can make a wise decision with the help of your veterinarian. 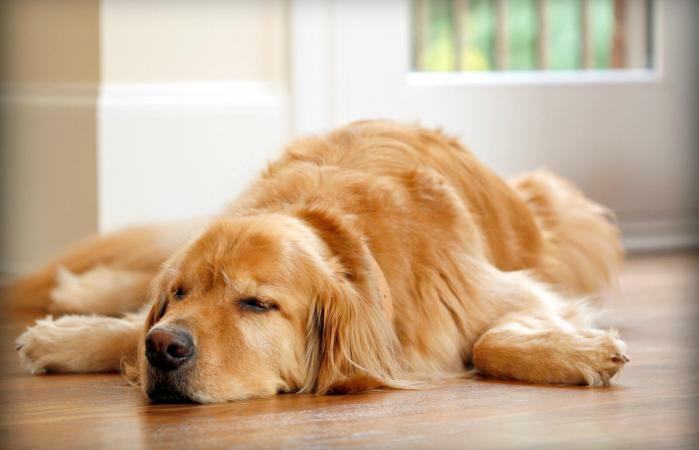 Not long ago, pain medication was rarely used for dogs, even after neutering or spaying. Fortunately, the modern veterinary practice is to use pain medication to make canine patients comfortable, which also helps speed recovery. Injuries, health conditions like arthritis or recovery from surgery are all reasons that a dog might need pain medication. Today's veterinary medicine uses animal-grade and human-grade pharmaceuticals for pain management depending on the patient's needs. 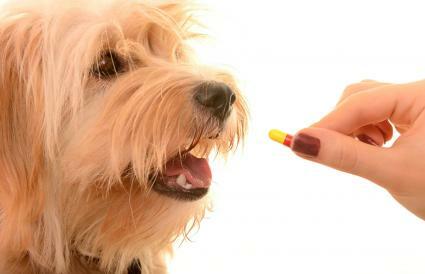 Correct dosage is important to the dog's safe use of the medication. Nonsteroidal anti-inflammatories (NSAIDs): NSAIDs are the most widely used pain medication for dogs for all types of health conditions and for pain and swelling. This type of medicine is often quite effective in pain management. The Federal Drug Administration has approved several medications in this category, including carprofen (Rimadyl), meloxicam (Metacam), firocoxib (Previcox) or deracoxib (Deramaxx). Acetaminophen (Tylenol): Acetaminophen has weak anti-inflammatory properties and is not always as effective for managing moderate pain in dogs as NSAIDs. Its use has fallen out of favor as more effective pain medications specifically for dogs have come on the market. Acetaminophen has a narrow margin of safety and can easily lead to toxicity. However, it can still be an option and is sometimes combined with other pain medication, particularly hydrocodone. Narcotics: Veterinarians will sometimes use narcotics (opioids), such as morphine, codeine, hydrocodone, tramadol, fentanyl or buprenorphine, for controlling severe pain when other medications are not strong enough. According to the Merck Veterinary Manual, narcotics are the most effective medications for severe pain. Many of these are only available as injections for in-hospital patients, but a few can be given as pills or in a patch that attaches to the skin. Steroids: Steroids, such as prednisone or dexamethasone, may be prescribed for managing pain, particularly with some cases of spinal pain. In pets with other medical problems, steroid medications may be contraindicated or could cause a greater risk of side effects. Gabapentin (Neurontin): Gabapentin is an anti-seizure medication that also provides relief for chronic pain, especially neuropathic pain. According to Wedgewood Pharmacy, it seems to have the greatest effect when used in combination with other pain medications. NMDA Antagonists: This is a class of medications that also works best when combined with other pain medications. Drugs in this class include ketamine (injectable) and amantadine (oral). Amantadine has been used in dogs with neuropathic pain and appears to be effective in at least some limited studies. Tramadol: This drug is a used for mild to moderate pain and is often used with senior dogs. It's similar to an opioid drug and can be combined with other pain medications. It has a sedating effect on dogs. Always consult your vet before giving your dog any kind of painkiller even if the medication you are considering is available over the counter. Only a vet can determine what kind of medication can be safe and effective in a given situation, and only a vet can determine the correct dosage for a specific dog and condition. Aspirin is a part of the NSAID family but cannot be used on dogs. Using it can lead to damage to the kidneys and liver and vomiting, diarrhea and intestinal issues. Taking it can also lead to death. Ibuprofen is also toxic and can cause a dog's kidneys to fail. Acetaminophen can be given to dogs but only with your veterinarian's supervision as overuse can damage a dog's liver and kidney. Acupuncture: Acupuncture can help manage pain in dogs for some conditions. It is based on ideas found in traditional Chinese medicine and involves needling locations on the body to regulate the flow of "Chi" (energy). Arnica Montana: This herb can be used topically or in a diluted oral form to manage pain when applied topically as a natural remedy for pain relief at home. It can be used to treat muscle aches, bruises, wounds, or joint pain. Fish Oil: Taking fish oil supplements, which are rich in omega-3 fatty acids, regularly can help reduce the inflammation that contributes to many painful conditions. White Willow Bark: Some holistic vets use white willow bark to treat minor pain in dogs. It is sometimes sold in combination with glucosamine in capsules to treat arthritis. Glucosamine Sulfate: One of the most widely used natural remedies for dog arthritis pain is glucosamine sulfate. It's also often combined with chondroitin sulfate and both work to help maintain healthy joints and cartilage in dogs. Green-Lipped Mussel (perna canaliculus): A natural anti-inflammatory for dogs which contains Omega-3 fatty acids. Neoplasene and Essiac: These chemotherapy agents are used for natural pain relief for dogs with cancer. Although they are natural substances, you will need to work with your veterinarian for a treatment plan. Other treatments: Several additional options exist for treating your dog by using a homeopathic approach. Some of the alternative therapies that may be considered include curcumin (turmeric), bromelain, Boswellia, vitamin C, Devil's Claw, Corydalis, or prickly ash bark. Always consult with a veterinarian before trying a holistic pain remedy or any pain medication. In addition to holistic supplements, there are several options for home remedies for joint pain relief. Obesity can cause dogs to put extra stress on their joints. Helping your dog to lose weight can help reduce the pain. Changing your dog's diet to add foods with more Omega-3 oils and glucosamine can also help. Orthopedic dog beds can support a dog's joints and provide a more comfortable resting place. There is a potential health risk in using any pharmaceutical or herbal remedy. It is important for you to only obtain pain medication from your dog's veterinarian as prescribed specifically for your dog for his current health concern. Never buy pain medication online or anywhere without a veterinarian's prescription. Do not use old medication for your dog without first consulting your veterinarian because medications do have expiration dates, and the vet may recommend something different this time. In addition, some medications require blood work before each prescribed use to ensure safe usage. Always follow your veterinarian's exact dosage instructions and consult the vet about any ill responses to the medication or usage concerns. Pain medication can be extremely useful in helping a dog recover or improve his quality of life when used correctly and under a veterinarian's supervision.